"We can't just delete, delete". 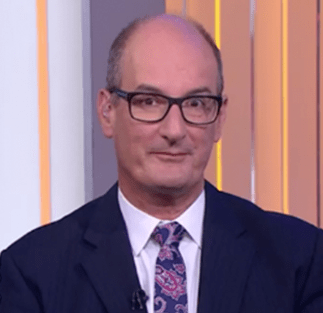 Gretel Killeen dropped the magic F-Bomb on Sunrise this morning and Kochie couldn't believe his ears. Former Big Brother host Gretel Killeen was a guest host on this morning's edition of Sunrise speaking on a range of social topics. When attention turned to a story about a drunk and unruly passenger on a Singapore-bound plane from the Gold Coast, Killeen had her own anecdote of being on a plane with a drunk passenger. Apparently her story involved the drunk passenger swearing loudly, and apparently Killeen forgot the nature of live television because she just straight up blurted out the sentence, "I just gotta go to the f**ing toilet...", before asking if the producer if they can just "delete, delete" what she just said. Unfortunately you can't delete, delete things from live TV.